When it comes to Spring cleaning, I like to go all out, and there's nothing better than deciding upon a new hair care routine. I have been trying out some products from Philip Kingsley lately, and so I thought I would let you know how I got on. 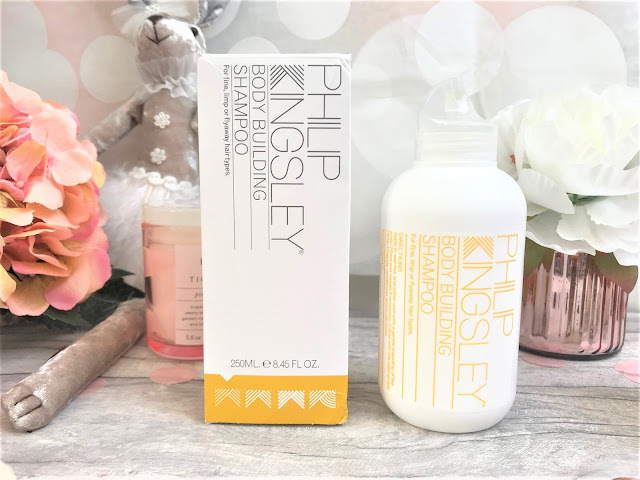 One of Philip Kingsley's most famous products is the Philip Kingsley Elasticizer (£32.00 for 150ml), which is an amazing pre-wash hair treatment. It is available in different sizes, and they often release limited edition fragrances. Elasticizer is a highly-concentrated product which moisturises and smooths each strand of hair to leave your hair feeling super swishy and lovely. As well as making the hair feel great, it also helps to protect it, using Elasticizer can help to improve the suppleness of the hair and the strength of it, which in turn makes the hair less brittle and less open to breakage. I have quite fine hair and I find that even when I get it cut regularly, I can get quite a lot of split ends, however after using this for around six weeks now, my hair is definitely feeling stronger, and I have noticed a lot less breakage when brushing my hair. If you colour your hair, then this is definitely something I would recommend to fight against the weakness which bleach can cause. It is quick and easy to include into your hair care routine, as all you need to do is apply it before shampooing, and leave on for 2-3 minutes before rinsing away. If you have super thick or very damaged hair, there is a hair cap which you can pop on to let it work deeper, but for my fine hair, I found that I didn't need it. Due to my fine hair, the shampoo I have been using is the Philip Kingsley Body Building Shampoo (£19.00 for 250ml). It comes in an easy to open bottle, which I love as sometimes when you get those bottles which are hard to open, it can drive me mad. If like me, you have thin, limp and fine-textured hair, then this is the shampoo for you, as it gently cleanses without feeling heavy or leaving a residue and adds natural body to the hair. Even after just a couple of washes, I could see and feel the difference with the volume of my hair, which gave me more confidence and it looked a lot better when I wore it straight. This shampoo has a gentle formula, which means that if you suffer from an irritated scalp, this will prevent it from feeling itchy and it is fine to use on colour-treated hair too. Along with the Elasticizer, this duo has really helped the condition of my hair too, and it is looking the best it has in a long time. Something else I suffer from due to having fine hair, is the fact that in Winter and colder weather, my hair seems to struggle and get really dry and brittle. To complete my Philip Kingsley hair care routine, I have also been using the Philip Kingsley Daily Damage Defence Conditioning Spray (£25.00 for 125ml), and because it is a leave-in conditioning spray, it continues to protect my hair from everyday wear and tear. This is suitable for all hair types, and is great for protecting against breakage and heat, to leave it looking and feeling stronger and more radiant. As well as being great protection during colder months, this is also a perfect holiday companion as it protects against UV rays, so the sun won't be able to dry your hair out. After washing my hair, I simply spritz this through the mid-lengths and ends of my hair (if you have normal to thick hair, this can be used all over the hair, but as I have fine hair, I concentrate it more on the ends), and dry as normal. You can find out more about Philip Kingsley Hair Care online here.